We’d love your help. Let us know what’s wrong with this preview of The Headmistress of Rosemere by Sarah E. Ladd. Patience Creighton will finally find the peace she lost years ago--if she can open her heart and forgive the man who loves her. Bright, sensible Patience knows what is expected of her. At twenty-five, her opportunity for a family of her own has passed, so she finds contentment teaching at her father's school for girls. When her father dies suddenly and her brother moves awa Patience Creighton will finally find the peace she lost years ago--if she can open her heart and forgive the man who loves her. Bright, sensible Patience knows what is expected of her. At twenty-five, her opportunity for a family of her own has passed, so she finds contentment teaching at her father's school for girls. When her father dies suddenly and her brother moves away to London, she is determined to keep her father's dream alive. Confirmed bachelor William Sterling also knows what is expected of him, but mistake after mistake has left him teetering on ruin's edge. As master of Eastmore Hall he owns a great deal of land but possesses little money to manage the upkeep. He is desperate to find a new source of income, including the sacrifice of land connected to Rosemere. To ask other readers questions about The Headmistress of Rosemere, please sign up. This book is the second in the series. Would you recommend reading the series in order or does each book stand alone? Basically, I expected to be wowed, and I was not wowed. I should have known from having read The Heiress of Winterwood that Ms. Ladd's style was not exactly up to my standards, but I still had high hopes for this one. Admittedly, it was a big improvement on many aspects compared to Book 1, but all I'm about to say really comes back to: there was not enough Patience and William and: it was re-pe-ti-ti-ve!!! I loved the premise of a good love story between the headmistress of the school and the owne Basically, I expected to be wowed, and I was not wowed. I loved the premise of a good love story between the headmistress of the school and the owner of the property, set in the moors in winter and filled with secrets and dark twists and turns. Very Jane Eyre-esque, and Anne loves that kind of stuff. Unfortunately, it just...wasn't...really...great. It's not a bad book, really it isn't, it's just pretty basic. Simple. Boring. I wanted much more. The two leads, Patience Creighton and William Sterling, were actually really, really loveable and their story could have been deliciously scrumptious if they had, you know, spent time together. Their first few scenes were great and the romantic tension was perfect, but then it started to evaporate little by little as the author focused on other subjects and characters that were less important, and Patience and William aren't even in the same room until the end. The entire middle chunk was devoted to the annoying, one-dimensional secondary characters that added little to nothing to the story. Ms. Ladd spent so much time making sure we understood every character's every emotion that she forgot to actually develop her characters. Instead of letting us figure out that so-and-so was sad and such-and-such was happy, it was all spelt out, repeated, repeated, and repeated. I find this author's writing style very repetitive to begin with, but the detailing of so many unnecessary thoughts and actions really got on my nerves. I mean, how many times must it be stated that Patience's mother hasn't recovered since her father's death?! Or that William feels unworthy of love? Or that the housekeeper was more of a friend than a housekeeper? Those are things we were able to see plainly without being told, yet it was repeated many times and took up way too much space that should have been used for character and romantic developments. Patience I liked from the first line. Still mourning her father, desperately worried about her mother's health and broken spirit, Patience picks up the pieces left by her absent brother and commences running the family business--a girl's school. Her interactions with the children were some of my favorite scenes. Her interactions with William Sterling were my top favorite scenes. He was an interesting character to start with, but the changes he undergoes in the course of this story were compelling. A recovering gambler, he tugs on heartstrings with his commitment to make things right--and his growing attraction to Patience, whom he sees himself unworthy of. Enter the absent brother (Patience's conversation with him and the discovery that he did some wrong things for right reasons was eye-opening) and a beau from Patience's past, and things got really interesting really quickly! Then William suffers a betrayal and learns of a long-kept secret that changes everything. Sarah Ladd earned a place on my favorite authors list. REVIEW: This story continues the saga of the Creighton and Sterling families of Darby England. The first story featured brother Graham and this one continues the tale with brother William. I really liked the characters of William and Patience. Both of them become stronger and more resiliant as they deal with their past choices and learn to make better ones. The also find out that God brings good things to those who wait. The author weaves in some mini sub-plots that also make the story line more complex and interesting. I can see several threads that could be continued in future books: the future of Cassandra, Rawdon and Lydia, and the boys'school. FAVORITE QUOTES: "But if I act in anger, if I let myself stay in that place, I am only hurting myself." I did like the chemistry with William & Patience but that whole underlining problem just put a bad taste in my mouth for the book. Maybe if I had known ahead of time I could have appreciated the story more...but you don't find out till the last 1/4 of the book. The Christian elements were light. I don't like to be preached to but it seemed like it was more of an afterthought. I loved this book! As much as I enjoyed the first, I adored the second even more! The setting and characters were ideal (I loved the sensible but romantic heroine and the flawed but sincere hero), and I simply couldn't read it fast enough! Looking forward to getting a copy of the series' final installment, A Lady at Willowgrove Hall. On many levels, I really enjoyed this book. It was an amazing concept, and I enjoyed the characters and setting. However, the plot was very rushed. I wished the author could have slowed down and taken her time with some scenes, events, plotlines, etc. The end was especially rushed. Then there’s the whole deal with William’s secret past. I’m not going to say what that is, but I will say this: when Patience finds out about it, she hardly bats an eyelash. In fact, she’s kind of excited. Wait, what?! Don’t you think you might want to, I don’t know, confront him on his sins and see if this hasn’t happened before or will happen again, etc.? Patience, get your head out of the clouds. It was pretty clean. There is one thing, but that’s a spoiler (and it’s well-handled), so I won’t mention it. Okay for older teens. Sarah Ladd has successfully penned two books utilizing a beautiful cadence of story, history, love and intrigue. Patience Creighton, so hesitant to resist change, is suddenly enraptured by change with the entrance of William Sterling into her life. His secrets and her determination combine for many chapters of delightful reading. I have to say I enjoyed this one. It wouldn't rate among my favorite historical romances, but it was just different and entertaining enough to make it stand out to me. There are a few things that were a little hard to believe, but mostly it was a fun read. I really liked the heroine and hero. The hero is a bit different from the normal debauched hero, in that he's trying to reform himself before he meets the heroine. You see him struggling to get his life together before and while he's falling in I have to say I enjoyed this one. It wouldn't rate among my favorite historical romances, but it was just different and entertaining enough to make it stand out to me. There are a few things that were a little hard to believe, but mostly it was a fun read. I really liked the heroine and hero. The hero is a bit different from the normal debauched hero, in that he's trying to reform himself before he meets the heroine. You see him struggling to get his life together before and while he's falling in love with the heroine, rather than his transformation being because of her. And the heroine's struggle to be the headmistress of the school while dealing with family difficulties and such was really endearing and heartbreaking. I think my only real complaint is that I wanted more. I wanted a bit more romance between the pair and more of the side stories, which isn't something I say normally. I was left with these massive questions about the side characters that I hoped would be addressed in other books in the series (though it looks like the other books don't really have much to do with each other). It wasn't in a way that made me feel like the story was lacking, but it just left me wanting more, and I wish I'd gotten some of it. So, this was a fun read and different from the majority of historical romances. Definitely worth picking up, and I'll be checking out her other books. UPDATE: So, I finally broke down and read the first book in the series and decided to re-read this afterward because I couldn't remember a thing about it. And I'm sorry to say that I didn't enjoy this quite as much the second go around. First off, I was disappointed that there was nothing of the first book's hero and heroine in the story. From the way book one ended, I had thought that the hero was going to get out of the navy as soon as possible to be with his family more, but it's been two years, and he's still off at sea with no end in sight. Other than a really brief mention, there was nothing about them, even though they live next door to the hero in this story. Though there is some backstory that would justify it to a degree, it felt really bizarre not to have any mention of them. Book 1's hero and heroine basically disappear, which is really sad. One of the things I love about romance series is that the other books often serve as a bit of an epilogue for the previous heroes and heroines. Then, I found I wasn't as enthralled with the love story. I didn't remember a thing since I first read it, so it was a bit like reading it for the first time, and I was disappointed with how insta-love the story is. The hero and heroine really only are attracted to each other and have so little interaction that there doesn't seem to be any real basis for their feelings except for chemistry. And there's plot points that are just dropped and never brought up again. Little things here and there that felt like loose ends or plot holes. Overall, Ladd's romances are slow burns, but I've enjoyed them so far because they're more serious romances and less of the fluffy rom-com stuff. Don't get me wrong, fluffy is fine at times, but I prefer serious romance with realistic characters and conflicts. The Headmistress of Rosemere was a very good follow-up to The Heiress of Winterwood! While the story seemed slower paced and it took me a while to finish (that could have been because I was busy and didn't have consistent reading time), that didn't lessen my enjoyment of the book. Overall, a really good historical romance! I recommend it if you enjoy historicals, especially regencies. I don't think you need to read book one, since the books are only slightly related. 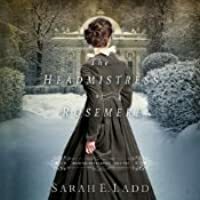 Coming off a solid debut with The Heiress of Winterwood, Sarah E. Ladd takes readers right back into the regency era with her latest release, The Headmistress of Rosemere, the second in Whispers On The Moors series. So let’s dive right in! Ladd definitely kicks off with some mystery and intrigue (I mean if a dashing young fellow showed up in the wee hours of the morning beat up on my doorstep, I’d be a little curious too. Not something that happens all the time in central Texas). 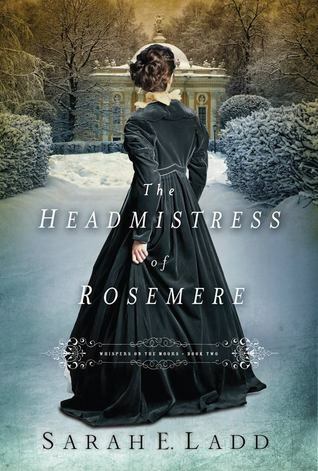 After reading t Coming off a solid debut with The Heiress of Winterwood, Sarah E. Ladd takes readers right back into the regency era with her latest release, The Headmistress of Rosemere, the second in Whispers On The Moors series. So let’s dive right in! Als grote thrillerlover heb ik toch af en toe eens nood om mijn romantisch kantje ook de kans te geven even te genieten. De directrice van Rosemere heeft mijn verwachtingen naar wat romantiek zeker ingevuld. Ik koester terug de liefde in mijn hart om nu weer een reeksje thrillers te lezen. Ik vond dit boek de moeite waard om te lezen vooral als je net als ik romantiek in je hoofd en hart wilt sluiten. Her burdens are heavy, but Patience Creighton is a survivor and will do what she can to preserve her father’s dream while supporting her mother. Life was not always so harsh. Before her father died, Patience had her brother Rowan and mother to lean on. But all that has changed now. Rowan has deserted the family and Patience has given him up for gone while her grieving mother continues to dote on him. It wouldn’t be SO bad except her mother also refuses to see that Patience has kept their girl’s Her burdens are heavy, but Patience Creighton is a survivor and will do what she can to preserve her father’s dream while supporting her mother. Life was not always so harsh. Before her father died, Patience had her brother Rowan and mother to lean on. But all that has changed now. Rowan has deserted the family and Patience has given him up for gone while her grieving mother continues to dote on him. It wouldn’t be SO bad except her mother also refuses to see that Patience has kept their girl’s school afloat. Instead Mrs. Creighton talks incessantly about her dear boy and how when Rowan comes home he will set things right. Patience is not amused. While dealing with frustration and stress Patience also sees to the care and schooling of her 20+ charges. Distraction comes in the form of William Sterling, her landlord. When he turns up in their barn suffering from injuries Patience is immediately intrigued. But William is not keen on sharing the details. William has a reputation and not a good one. He knows that, but rather than face up to responsibility he blames his misfortune on a past heartbreak. Now he’s so far in debt it’s doubtful he’ll ever fight his way out of it. Then one night the Creightons’ barn burns down. Suspicions run high, but he can prove nothing. Is someone trying to send him a message at the risk of putting Patience Creighton and her students in danger? After all one of his creditors had been so brash as to sic henchman on him once before. As his long list of woes continue to grow William is tossed together with headmistress Patience Creighton who has her own battles to fight. Not bad, not bad. I first became acquainted with the work of Sarah E. Ladd a few months ago through The Heiress of Winterwood (predecessor of The Headmistress of Rosemere). Personally the THoW was a more favorable read (it had ships, donchyaknow), but THoR wasn’t too shabby. Ms. Ladd is in a class of her own when it comes to Regency fiction. Her stories are rather simple but still rich. Details come alive in a new way which makes up for the lack of mystery in the plot. The descriptions of the scenes that surround the characters are truly colorful. I wouldn’t call the book a page-turner, although I did read THoR in one sitting, but it isn’t boring either. There isn’t too much scandal which is something I appreciated. Action is limited but the stories are more character driven as both William and Patience fight their personal battles. Overall it’s a recommended read. DISCLAIMER: In accordance with the Federal Trade Commission’s 16 CFR, Part 255: “Guides Concerning the Use of Endorsements and Testimonials in Advertising” we would like to note that we received an electronic copy of “The Headmistress of Rosemere” from BookSneeze.com provided by the publishers, Thomas Nelson, in exchange for our honest review. When her brother returns with a new wife to take over management of the school, Patience is heartbroken to no longer be responsible for her beloved school and is forced to reassess God's purpose for her life. After her sister-in-law's matchmaking brings Patience and William together, they both learn new truths about their character and find a common goal in restoring Eastmore's legacy. Patience has had a bad taste in her mouth since her brother went to London and after her father's death, leaving her in charge of Rosemere School for Young Ladies. She has always dreamed of that knight in shining armor to come and whisk her away from the mundane life of being the headmistress of Rosemere, but it's looking like a dream that was never meant to be. Because of all she has to do there and all of her obligations she seems stuck there. But like the old adage, stop looking for true love and then it will find you. And find her it does in the form of William. William owes some important people big and if he doesn't pay up soon his life will be given in return for the amount owed. Soon William gets the idea to look to an old friend for help but once he gets there he hears terrible news about his friend and in turn now doesn't know what he is going to do. William instantly thinks Patience is very attractive but her beauty isn't going to help him and the fix he is in, or will it? The Headmistress of Rosemere was a thoughtful, sweet story that I really enjoyed. A sequel to The Heiress of Winterwood, this book told the story of a lovely spinster (she's actually only twenty-five or so) who runs a school for girls and has given up on the idea of romance. Her brother Rawdon hasn't been heard of since their father's untimely death, her mother's health is declining from her grieving state, and her friend Cassandra is anxiously awaiting Rawdon's supposed return... because they' The Headmistress of Rosemere was a thoughtful, sweet story that I really enjoyed. A sequel to The Heiress of Winterwood, this book told the story of a lovely spinster (she's actually only twenty-five or so) who runs a school for girls and has given up on the idea of romance. Her brother Rawdon hasn't been heard of since their father's untimely death, her mother's health is declining from her grieving state, and her friend Cassandra is anxiously awaiting Rawdon's supposed return... because they're engaged. And then William Sterling steps into the picture. Or, is rather forced into the picture because of the consequences of his gambling lifestyle. Such a sweetly surprising story. A little mystery was entwined through the book... unusual, but wonderful. I just had a lovely time reading about Patience, William, and Emma. I greive for Cassandra, and wonder if her story will come next? One thing about The Headmistress of Rosemere was that the romance could have bordered on obsessive. I'm all for sweet, I'd-give-my-life-for-you, romantic love... but I don't really like when characters say things like, "My life is meaningless without you" "I can't live without you", stuff like that. Who gives the meaning to our lives? God of course! He is all we truly need. So I like the deep love, I believe that's important... But if our "my life is meaningless without you" spouse dies or something, we need to remember that God will bring us through and He gives our lives meaning. Our spouse can't fulfill us. Only God can. So yeah, I just kind of felt like the characters weren't complete without each other or something. That might not have been the author's intention though. Could have had a little more spiritual growth for the characters... They did seem to grow closer to God in the end, but it didn't really explain. But overall, a really sweet, poignant, regency romance. I'm looking forward to reading A Lady at Willowgrove Hall! This book was quite a pleasant surprise for me. As I commenced my reading, I was pretty sure this would be a mediocre book at best. There was nothing too remarkable, and I believed this would be the typical historical Christian romance. However, as the story went along, the author threw in some clever elements that endeared me to the characters and the story. I honestly was not certain how things would end. I enjoyed the love story between Patience and William, and although I had not read the fir This book was quite a pleasant surprise for me. As I commenced my reading, I was pretty sure this would be a mediocre book at best. There was nothing too remarkable, and I believed this would be the typical historical Christian romance. However, as the story went along, the author threw in some clever elements that endeared me to the characters and the story. I honestly was not certain how things would end. I enjoyed the love story between Patience and William, and although I had not read the first book, I was able to jump right into the story. The action in the book did not cease until the last page, and I would certainly read another story about these characters. The Christian message was not as strong as I sometimes see, but it was quite nice to see William's transformation. And the author did not shy away from potentially controversial topics. The gospel message may not be spelled out in so many words, but it was definitely prominent. If you are searching for a feel-good historical romance with some mystery, intrigue, and redemption, this is the book for you. Now that's more like it (compared to the last regency romance I read), this was good. I need to catch up on reading and reviewing some books for net galley, but decided I had to redeem that last book. I don't know what it is about regency romances, probably the fact that being alone with a guy is scandalous or something, but it helps remind us old married ladies that our husband's care, concern, and forearms are remarkable. (Don't ask... 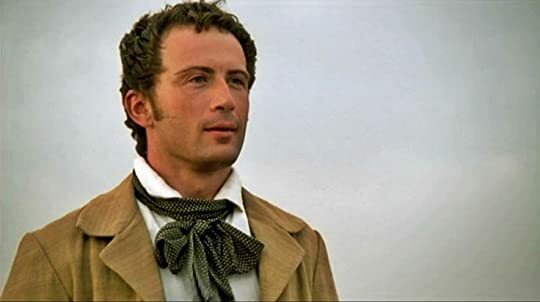 I'm in this stage where rolled up sleeves of his white shi Now that's more like it (compared to the last regency romance I read), this was good. Patience and William were so cute together though I wish they'd spend more time together. The story's pretty much what was expected plus more. I liked the Ewan angle though I wish he'd been fleshed out more. And poor Cassandra, she was forgotten pretty quickly. A quick mention (maybe a letter by her) during the epilogue would've been nice. - too much description of shallow things, all about how things look or how Patience feels, but no complex backstory compared with the classics. Listening to Jane Eyre again and the books are poles apart. - romance is very trivial, all about looks even though it's set in 19th century England. - Not unreadable, but pretty tedious. It was just meh. I did like parts of the plot but it dragged. Also, only one mention of the characters from the last book, which is okay, I guess if you're looking for stand alone. I did like Patience and Lydia. William was alright but not as developed as could have been. I loved this book! It is an epic adventure filled with danger, intrigue and sweet romance. I enjoyed the spiritual truths woven in the pages. This book is a must read. It is breath taking! Kind of slow for me and rather dull. I enjoyed this story. It has some twists and turns that I didn't expect. I would recommend this book. 3.5 -- I enjoyed this, but it wasn't as good as the first book in the series. This book was good, but I feel like they didn’t really get to “ fall in love.” Like I would’ve liked, and I wish Amelia, Graham, and Lucy were in the book. I also got bored a lot reading this book. Overall it was a good book. If I had been shopping in a bookstore, the beautiful enticing cover of The Headmistress of Rosemere would have caught my eye and my hand would have reached for it quickly with curiosity. Sarah E. Ladd caught my attention immediately with the vivid description of darkness and danger in the night. William Sterling sensed he was being followed. He was, and what happened from there lead the reader to the Rosemere School for Girls where we meet Patience Creighton before dawn, coming unexpectedly face If I had been shopping in a bookstore, the beautiful enticing cover of The Headmistress of Rosemere would have caught my eye and my hand would have reached for it quickly with curiosity. Sarah E. Ladd caught my attention immediately with the vivid description of darkness and danger in the night. William Sterling sensed he was being followed. He was, and what happened from there lead the reader to the Rosemere School for Girls where we meet Patience Creighton before dawn, coming unexpectedly face to unconscious face with William Sterling to tend his wounds. There is a tinge of possible romance developing– at least from the imagination of Patience. Having not read Sarah Ladd’s writings previously, or realizing this book is the second in the series, “Whispers on the Moors,” The Headmistress of Rosemere stands second to none in excellent story quality and clear Christian morality. I consider it a stand-alone story. However, it is my intention to read The Heiress of Winterwood, the first novel in this series. It is not my tendency to draw out details of the events and interactions of the characters in my reviews, at the risk of spoiling the read for others. My purpose is to draw the reader’s interest as a possible read depending on their own taste and expectation. However, I will introduce the major characters who Sarah Ladd has casted so appropriately in her story. Lovely in appearance and a credit to her name, raven haired Patience Creighton is the Headmistress of Rosemere since the passing of her beloved father, leaving her mother Margaret grief-stricken and inconsolable. Rawdon, older brother of Patience, disappeared, neglecting his inherited duties at Rosemere, abandoning his lady love, causing all the women vexation and disillusionment. Handsome William Sterling inherited Eastmore and his father’s holdings, including Rosemere. An impractical and fast living man, whose drinking and gambling are causing him insurmountable problems. William is in dire financial straits, risking the loss of everything. Raising race horses appeals to William as an answer to solving his financial difficulties, but will it? Emma Simmons, one of the little girls at Rosemere is one of Patience’s favorites. How does a child so small and innocent figure such prominence in Ms. Ladd’s plot? Cassandra, a teacher at Rosemere, is the best friend of Patience and in love with Rawdon. Who are Lydia, Isabel, George, Lewis, Captain Rafertee, Ewan O’Connell and Angus? Each character and others essential to this setting are refined to perfection and mixed well with the era to bring about Ms. Ladd’s fascinating and curious story. Enjoyment of the unexpected mysterious twists amidst this Regency romance appealed to my liking. The accentuated weight of surmounting strife is effectively calmed through forgiveness, redemption, Christian love and salvation, proving God works all things together for good for those that love Him. Indeed, God’s grace falls on the words originating from Sarah E. Ladd’s pen covering this wonderful story. Thank you, Ms. Ladd for giving me several hours of “getting away from it all” and finding myself in the nineteenth century. This book was sent to me free of charge for my honest review from Litfuse Publicity.